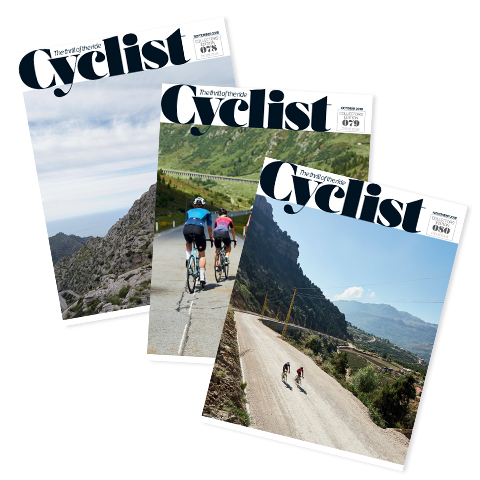 Join the Cyclist community and get the magazine loved by road cycling enthusiasts around the world. Enjoy the most exhilarating ride routes, the latest bikes and exclusive insights from the biggest brands and most influential people in cycling every month. Choose from a selection of great subscription packages all starting with your first 3 copies for JUST £5, that's only £1.67 an issue - less than a flat white! Whatever your reading style, pick the one that's right for you and get your copies delivered to your door or on your digital device for when you're on the move. *UK offer only. £53.78 saving applicable over a year if you take our print and digital subscription package.